We’d love to see you on the French Riviera. In just under a week we’ll be exhibiting at the Trustech in Cannes on the French Riviera. 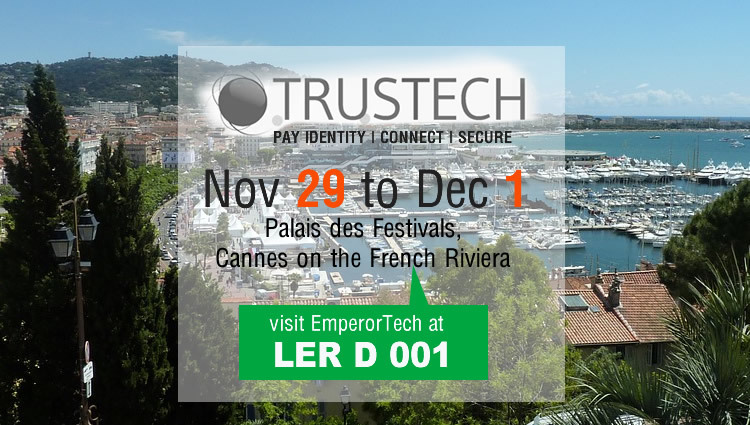 Stop by to see us at the Trustech Show in Cannes, France this November 29 through December 1. See and learn more about our rock star line of Secure Information Equipment. Why Visit Us at the Trustech Show? Meet our awesome team face to face,and get your questions anwered. Discover effective solutions for your projects and business. Learn more about our new and upgraded Emperor Products. Interact with our equipment as we showcase some of our popular tools. This entry was posted in CARTES, Trade Shows. Bookmark the permalink.